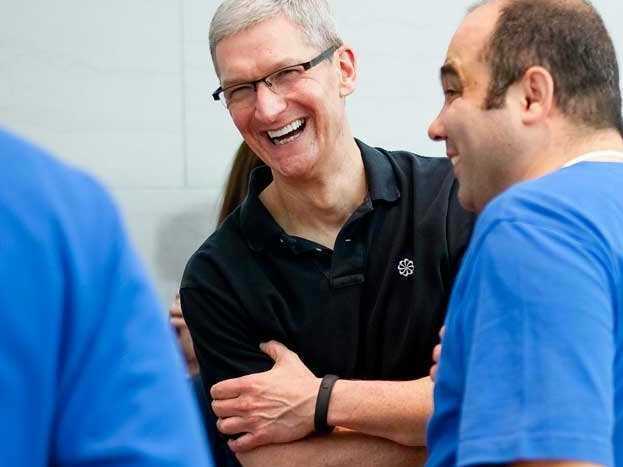 Apple CEO Tim Cook on Tuesday discussed wearable technology during an appearance at AllThingsD's D11 conference, where he said products like Google Glass have a broad range of appeal that is "hard to see". Cook told D11 hosts Walt Mossberg and Kara Swisher that he wears glasses because he has to and that he doesn't know many people who wear glasses when they don’t have to. He added, “People that do wear them want them to be light and unobtrusive, they generally want them to reflect their fashion and their style." Although he seemed to dismiss glasses as practical wearable technology, Cook said: "Wearables is incredibly interesting, it could be a profound area." Cook also called wrist wearables "interesting". He specifically said he wore Nike's FuelBand because it is "designed for a specific use", whereas most existing wrist wearables, which try to do everything at once, are "nothing great". Many reports in recent months have claimed Apple is working on a smart watch that will release in the second half of 2014. Some of the rumoured specs include a flexible screen powered by kinetic energy, a 1.5 to 2-inch display from a Japanese or Korean supplier, integration with other Apple products, biometrics for user identification and health care applications, and key iPod nano components like GF2 touch technology. When further prodded about wrist technology, Cook said: “If we had a room full of 10 to 20-year-olds and said everyone stand up that just has a watch on, I’m not sure anyone would stand up." The executive then held up a white iPhone 5 and called it a "watch" for 10 to 20 year olds. Mossberg also mentioned the possibility of wearables other than glasses and wrist technology, and Cook, making sure to avoid anything specific, seemed to agree that sensors were a growing area of interest for Apple.